PROMOTING LOCAL DISTINCTIVENESS, LOCAL HERITAGE & LOCAL PRODUCE. Once again WisARD organised and promoted a two day Apple Festival on the Market Place in October. This event, originally started by WisARD five years ago is now an established event in the calendar. Heritage photographs of Wisbech apple growing were on display, a new recipe leaflet was produced and almost 40 local varieties of apples were exhibited. A local grower sold a huge range of apples and juice and a knowledgeable volunteer identified apple varieties and demonstrated pests and diseases that may affect the fruit. 200 homemade apple pies were sold. WisARD worked in partnership with the Horsefair Shopping Centre on this project and Del Monte and Stream Foods donated hundreds of pounds worth of apple products to give away. A Sausage and Cider supper was held in the Town Council Chamber and attended by winners of a free prize draw that was held on the Apple Day market stalls. Sausages were donated by a variety of local butchers and the cider was Cambridgeshire brewed Pickled Pig. Winners were also treated to the opportunity to view the historic Town Council Chamber and learn about its history. 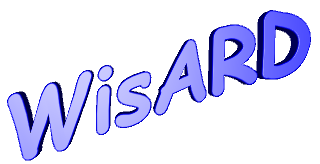 The WisARD web site carries news, activities and events. It is also the official site for Wisbech in Bloom. The Merchants Trail, i pod tour of Wisbech is downloadable from this site. The Merchants Trail was developed by WisARD using funding that they secured from Action for Market Towns Quality of Place fund. WisARD donated £200 to the newly formed Friends of Wisbech Institute to enable them to produce a leaflet about the buildings history and raise awareness of the plight of the building which is in a poor state of repair. The building was one of several in Wisbech open to the public as part of the National Heritage Open Days scheme. WisARD continue membership of Actions for Market Towns and members have attended many informative seminars and workshops.